the administration of President Muhammadu Buhari. Governor Ayodele Fayose of Ekiti state spoke on behalf of his colleagues during the opening session of the 76th PDP National Executive Committee, NEC, meeting in Abuja. He said, “If we don’t expose them (APC government), nobody will do so. “The APC is now in many scandals, we have to keep our voices up to expose them. Armed robbers calling people thieves, who are the armed robbers now? “We must tell the whole world that the PDP is the best place to be; the last convention was applauded. I want to believe that this one will be the same. “In this convention, there will be winner and loser, but in all, the party must win. 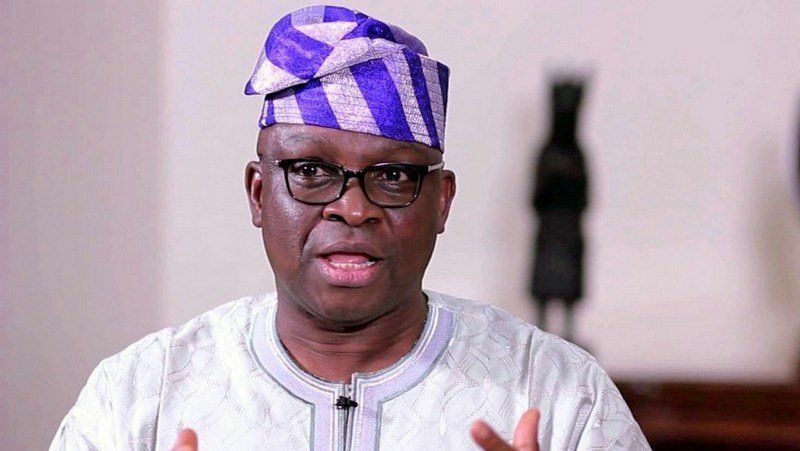 “The fact that you did not win should not make you to destroy the party,” Fayose said. Present at the meeting were Governors Emmanuel Udom of Akwa Ibom, Nyesom Wike of Rivers, Okezie Ikpeazu of Abia, Dave Umahi of Ebonyi, Ifeanyi Okowa of Delta and the deputy governor of Bayelsa state, John Jonah.